Celebrating 5 Years of Being Family! 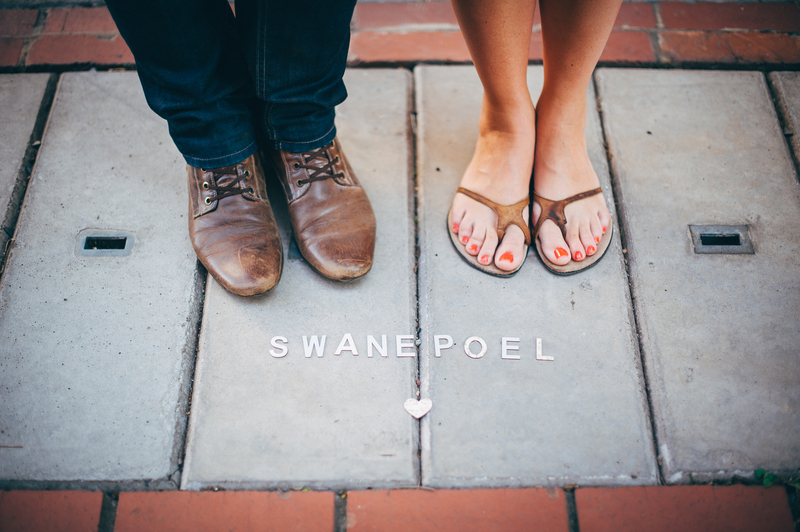 It is October in Pretoria – the most beautiful month in our beautiful city! I never get tired of seeing the streets of our city lined with the most vibrant green and of course purple trumpet flowers of the Jacaranda trees. We have also been in the grip of a heat wave, with temperatures soaring above 33 degrees for nearly two weeks now and it seems that spring was just a rumour. With the high temperatures we have had to make plans for the children to cool down as we do not have a swimming pool. Buckets, hoses, sprayers and even a big crate do the trick so that they spend hours entertaining themselves and cooling down. 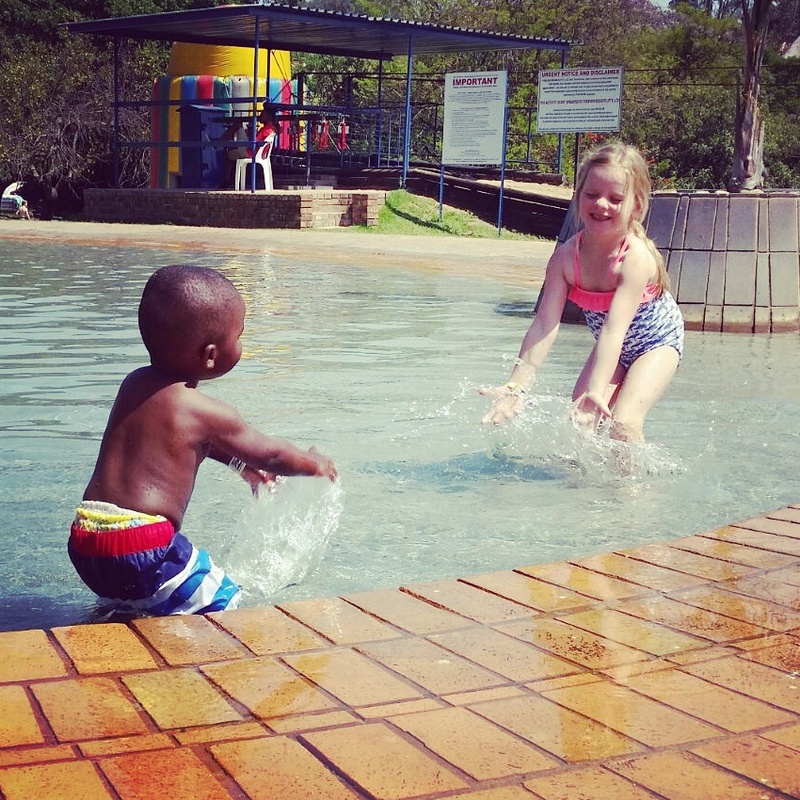 Watching my two kids play in the water, fills my heart with joy and gratefulness. They splash, laugh, tease each other and of course fight with each other like any other set of siblings do. And that is what makes me happy – they are just like any other siblings, regardless of the fact that they don’t look like each other or like us. We are family! So many days I am aware of how God created each child uniquely and specifically for our family. Nina is a strong willed girl, not really phased by other’s opinions with an imagination that may have her end up on stage. Siya on the other hand is a people-pleaser. Enjoying attention and wanting people to like him – and of course he succeeds in this wherever we go. These unique traits of them have already helped them in handling situations. 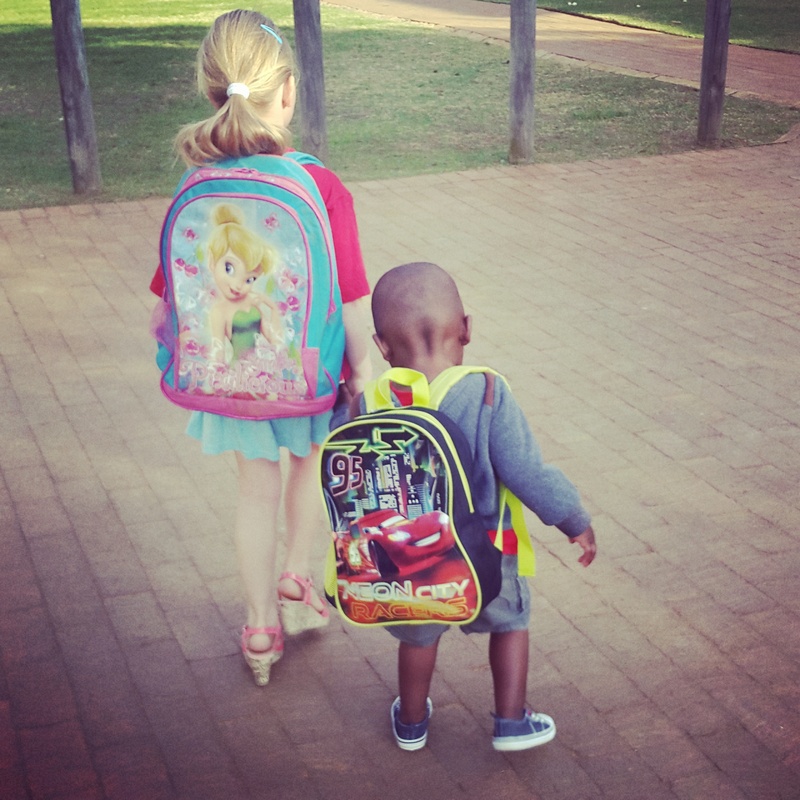 Siya recently started school and having Nina as his big-sister has helped a lot. She protects him like a tiger and handles all the “Is he really your brother?” questions without blinking an eye. Of course we have to help her and teach her the correct words to say, but she isn’t offended by anyone trying to tell her he cannot be her brother. In the past few weeks we have celebrated both their birthdays. 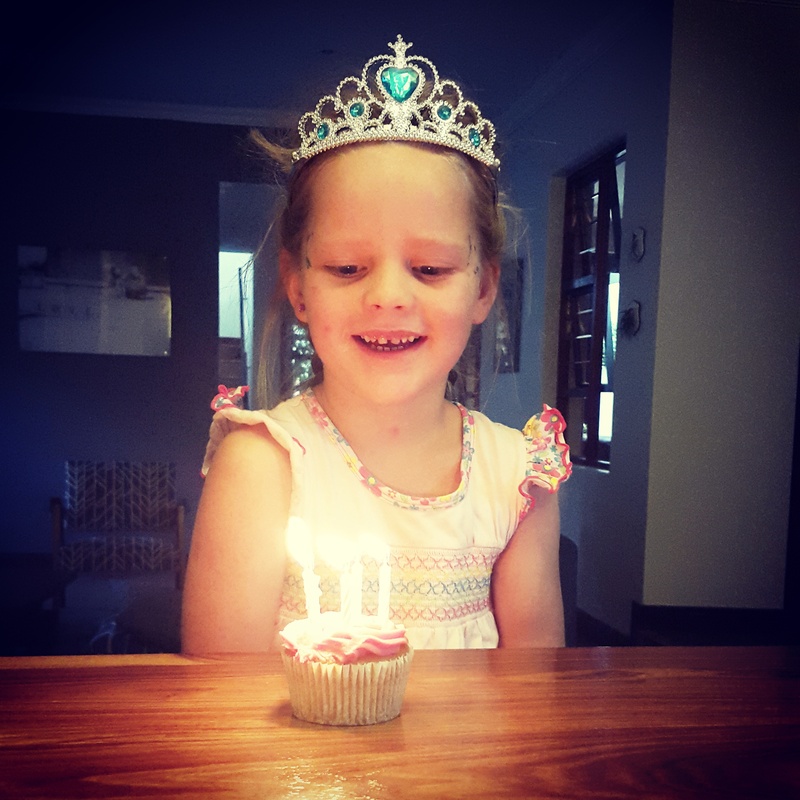 Siya turned two end of August and Nina turned 5 a few days ago. 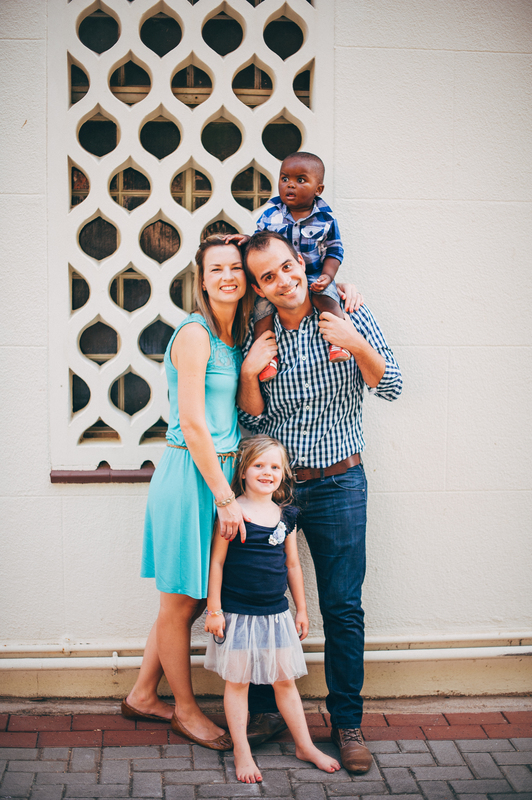 Birthdays especially are a time when I am reminded of this wonderful and precious blessing that we have experienced with the adoption of our two children. In the normal day to day life of being family we tend to forget how we became family. We are a normal family with the normal ups and downs of parenthood. Days are filled with instructing and disciplining our children, breaking up fights, nagging them to eat their food and clean up their rooms. Mornings filled with the rush to get everyone on time for work and school. Bedtime routines that can sometime go on much longer than hoped for. This week, 5 years after becoming parents for the first time, I have been thinking so much about this road that we have been on. I have been thinking about our struggle with infertility and what an incredible heavy burden it was at the time to carry, not really believing that there will be a time where I am completely at peace with the fact that I will never conceive. 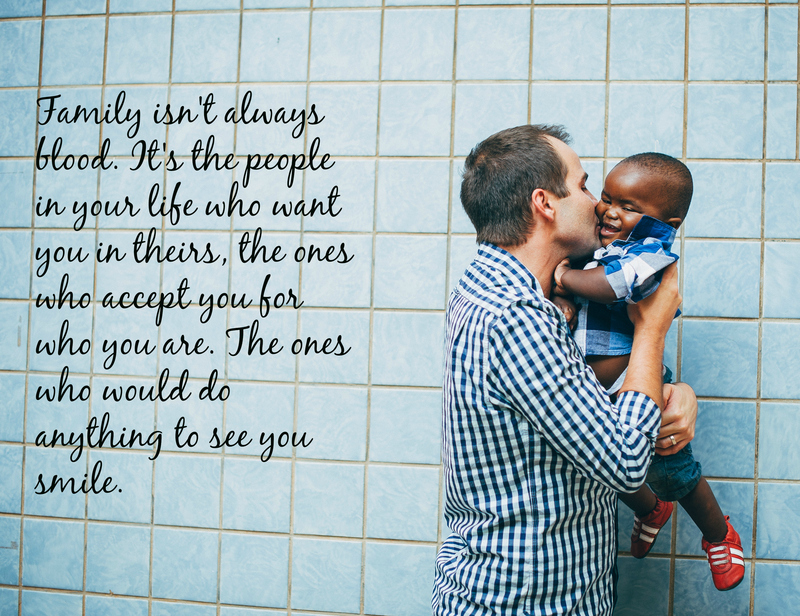 I have been thinking about how we wondered and prayed about how our family wlll handle adoption, and how we were blessed with a loving, open-armed family welcoming both our children. 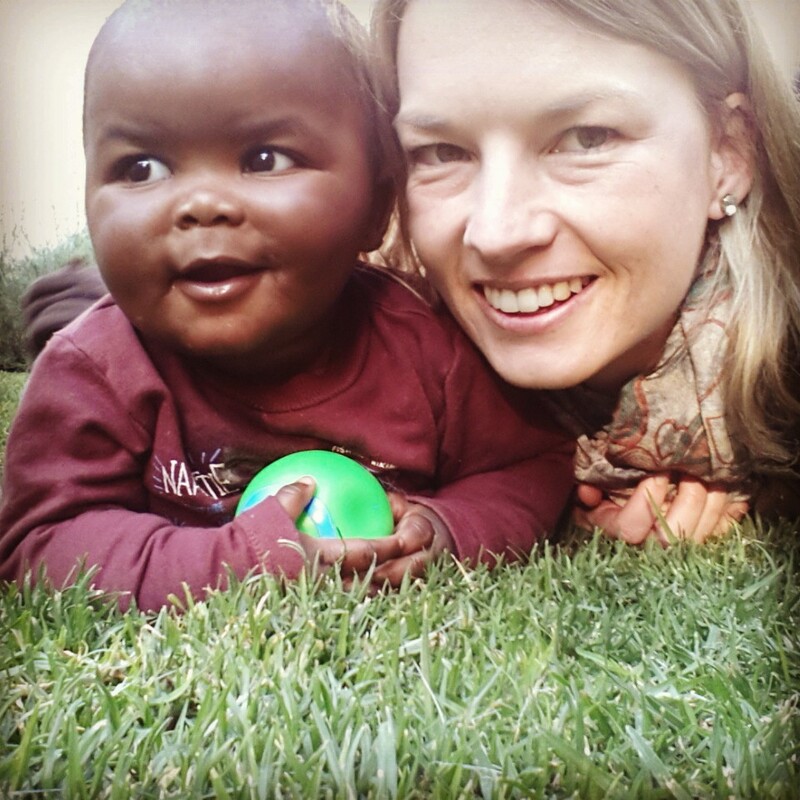 I have been thinking about the moments I first met each baby – Nina as a newborn giving her first cry and Siya when he was 7 weeks old. And then of course I have been thinking a lot about our childrens’s brave tummy mommies. Always grateful, always humbled beyond words for their selfless act of love and gift of life to us! I have also been wondering lately what our lives would have been like if we didn’t go through these trials and things happened the way we thought and hoped that it would. If I had a choice, what would it be? And then I can say with a certain heart – I will not choose a thing different than how it happened! The trial of infertility brought to me a new understanding of what it means to live with my eyes fixed on Jesus and hoping and longing for an Eternal Life with our Heavenly Father. 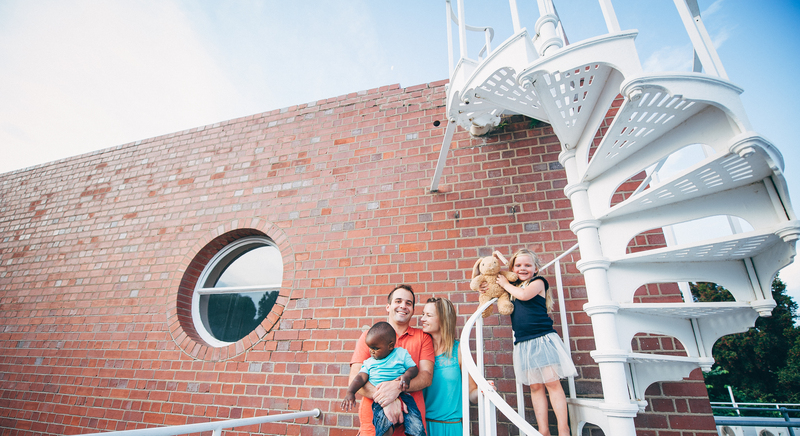 Adoption taught me a deep gospel truth of how God adopted us into His family (Eph 1:3-10), and I truly believe that I would never have understood this completely if it weren’t for experiencing this personally. 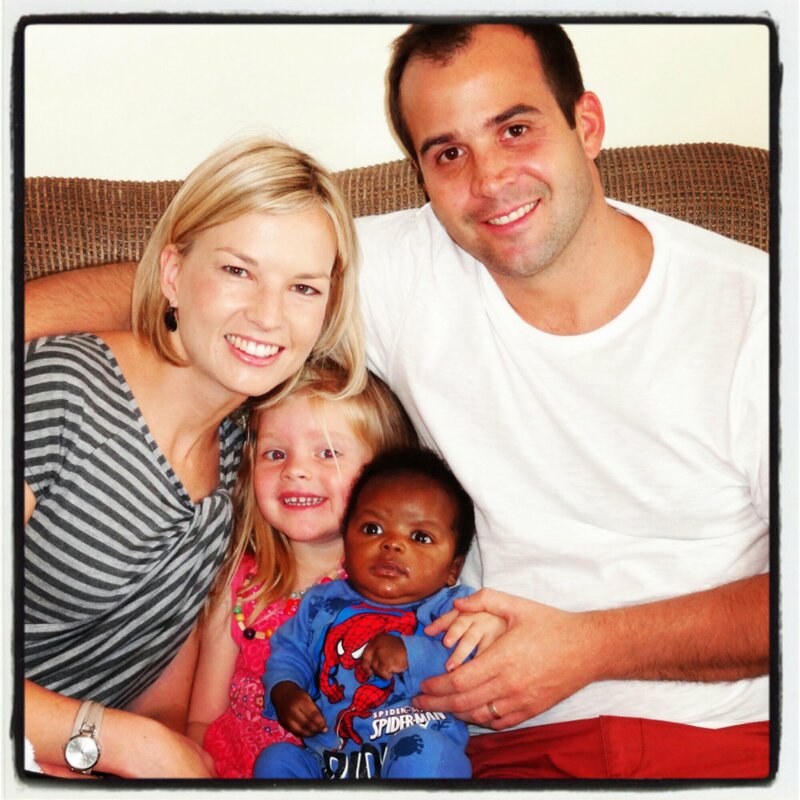 I recently did an interview about our adoption story with Jules from Heart Mama Blog. Loved the opportunity to share our story! 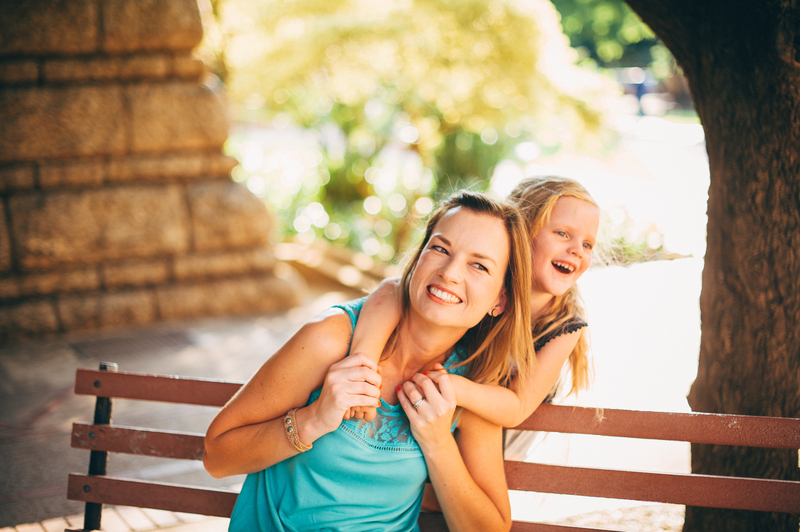 Marli is a Heart Mama from Pretoria who juggles a being a Mom to her two kids with a part time medical career. 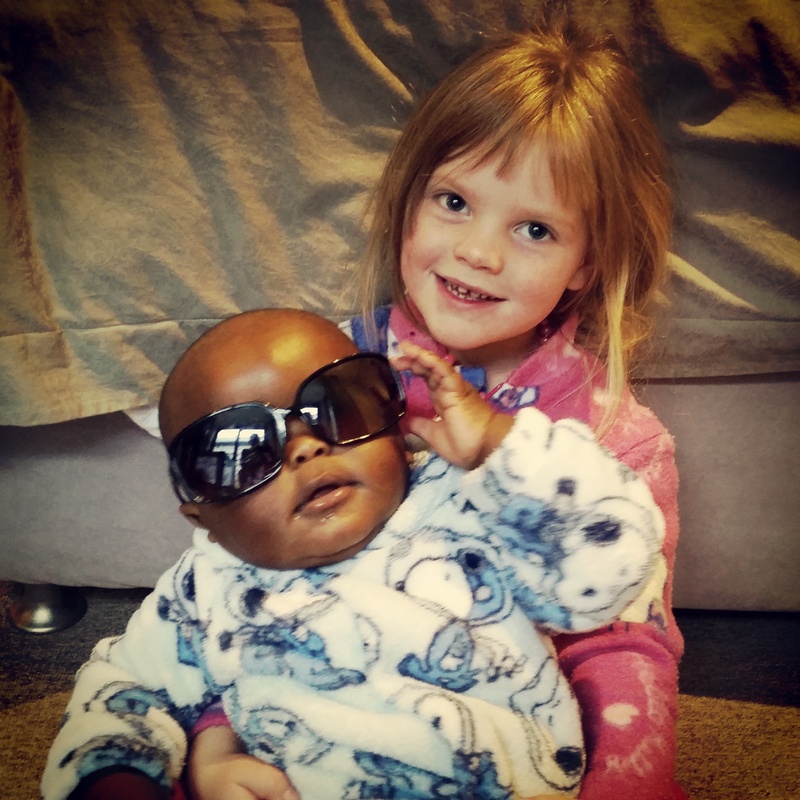 She chats to us here about the life-changing journey of parenting through adoption and you can also follow her personal blog here for some more adoption posts. Thank you for sharing your story, Marli. 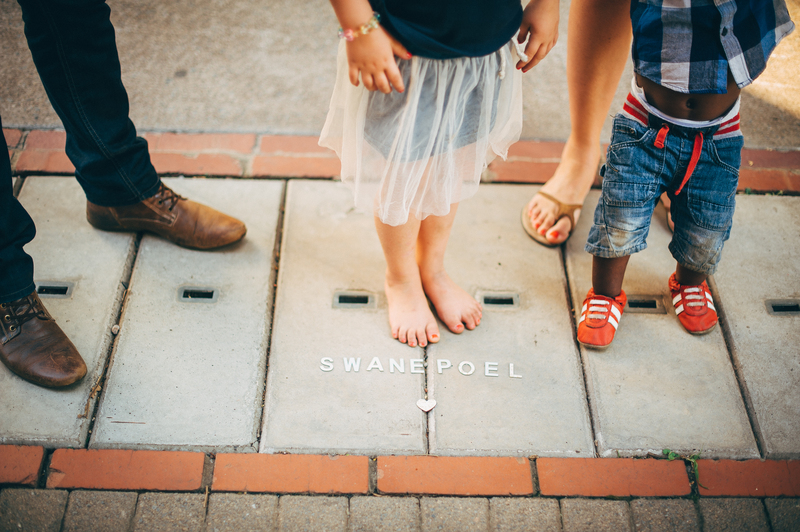 We are the Swanepoels, so far made up of 4 unique individuals bonded together as family not by genes but by the adopting grace of Jesus. De Wet and I have been married for nearly 11 years now, and we have two children by adoption. 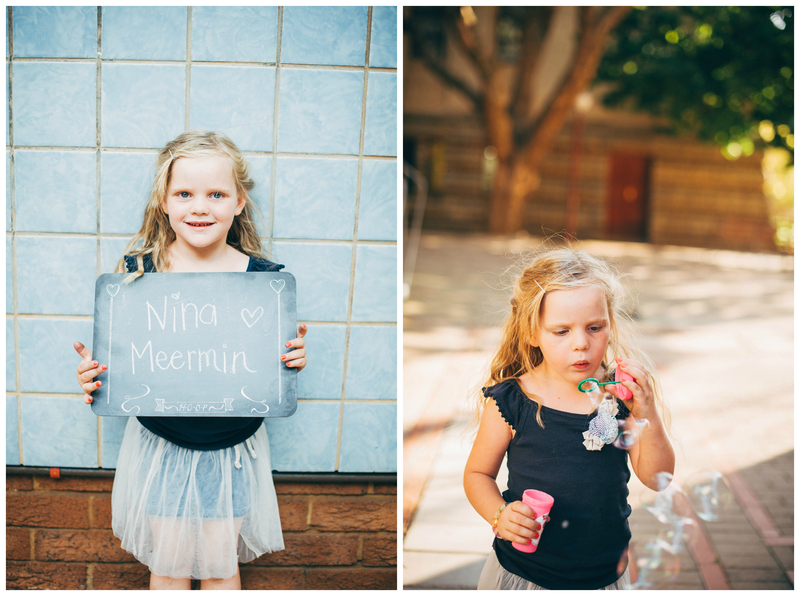 Nina turns 5 in October and Siya turns 2 in a month’s time. Did you always know that you wanted to adopt? 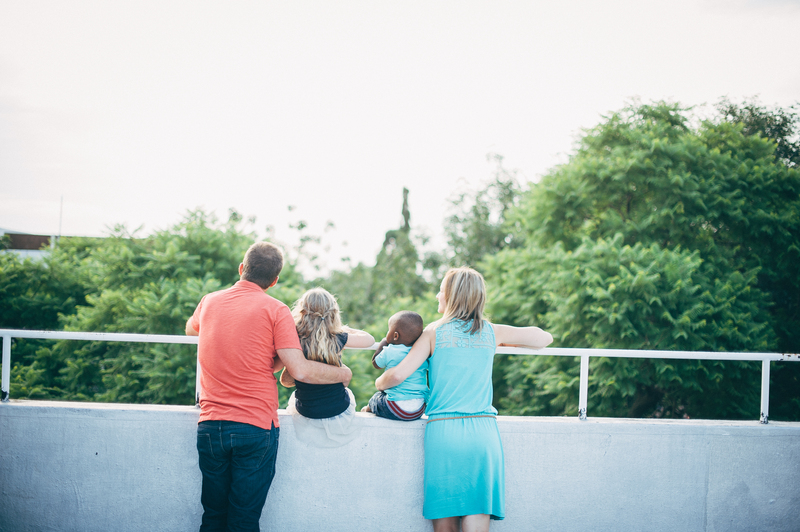 When we did our pre-marital counselling, we talked extensively about our future family. We decided then already that we wanted to adopt, but after having biological children. 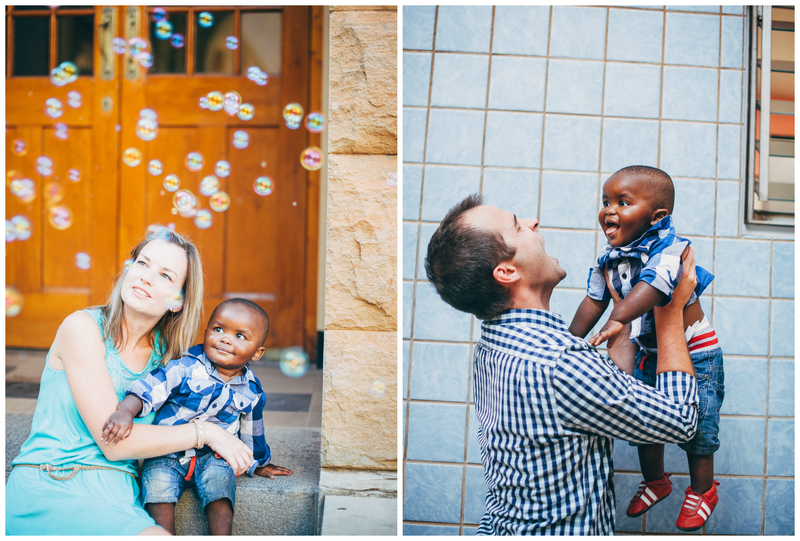 After a few years of pursuing pregnancy and undergoing treatments we decided that we would rather focus our efforts on adoption. At this time we read a book that changed our perception on adoption forever – Adopted for Life by Dr Russell Moore. We realised then that adoption for us was not Plan B, but Plan A! Did you use an agency or did you go through Child Welfare? 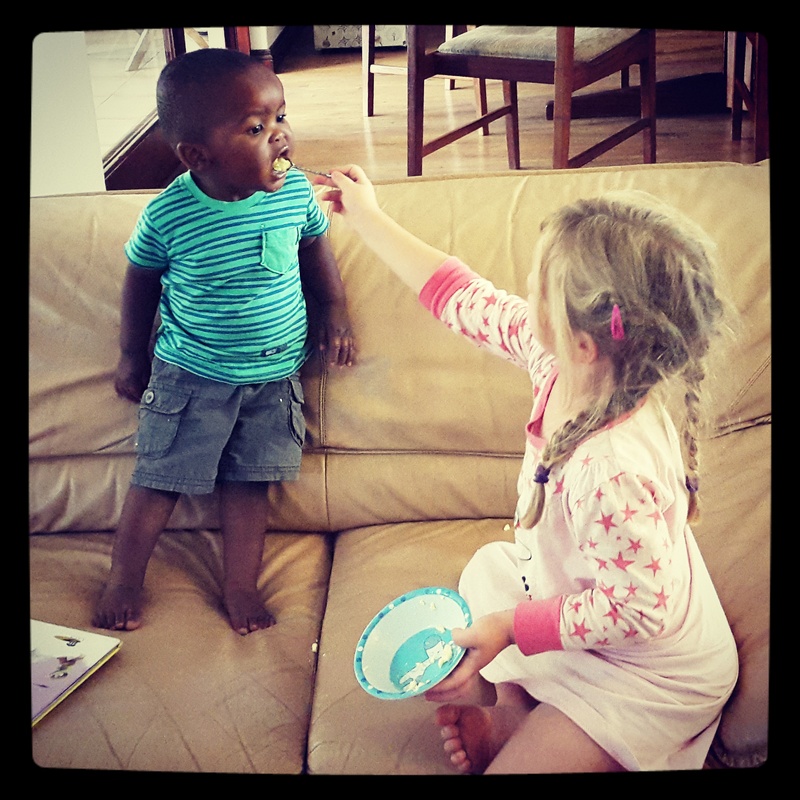 With both adoptions we worked through Social Workers in Private Practice. 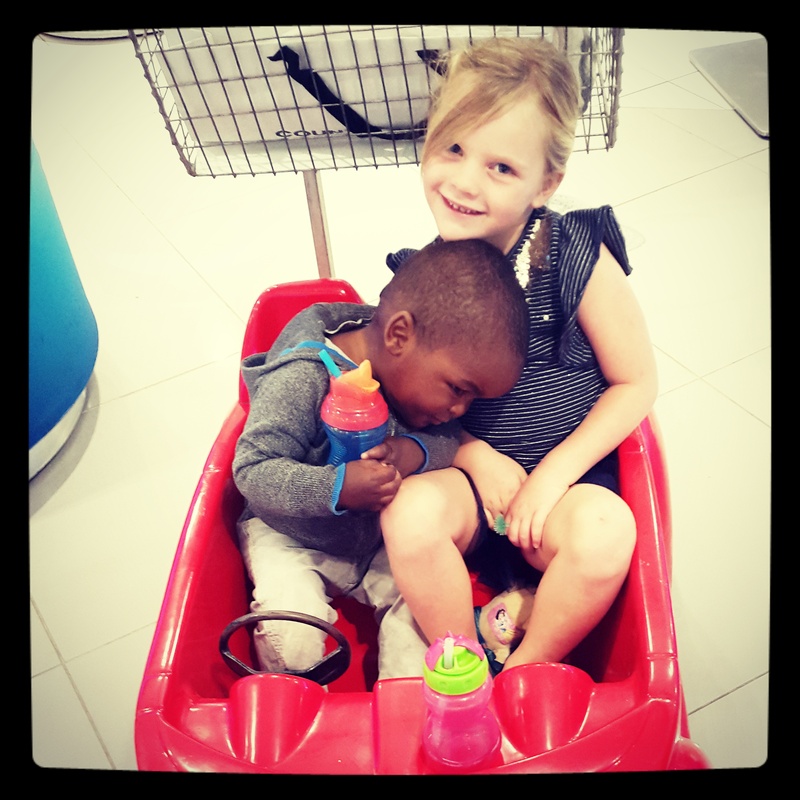 Both adoptions were seamless and made as easy as possible! With Nina, we actually met her very brave “tummy mommy” when she was about 6 months pregnant. We went with her to the gynae visits and I was in theatre when our precious baby girl was born! On the morning of Nina’s birth we exchanged gifts, and Nina’s biological mom made her a quilt with her date of birth. I know that this is something that Nina will treasure forever. 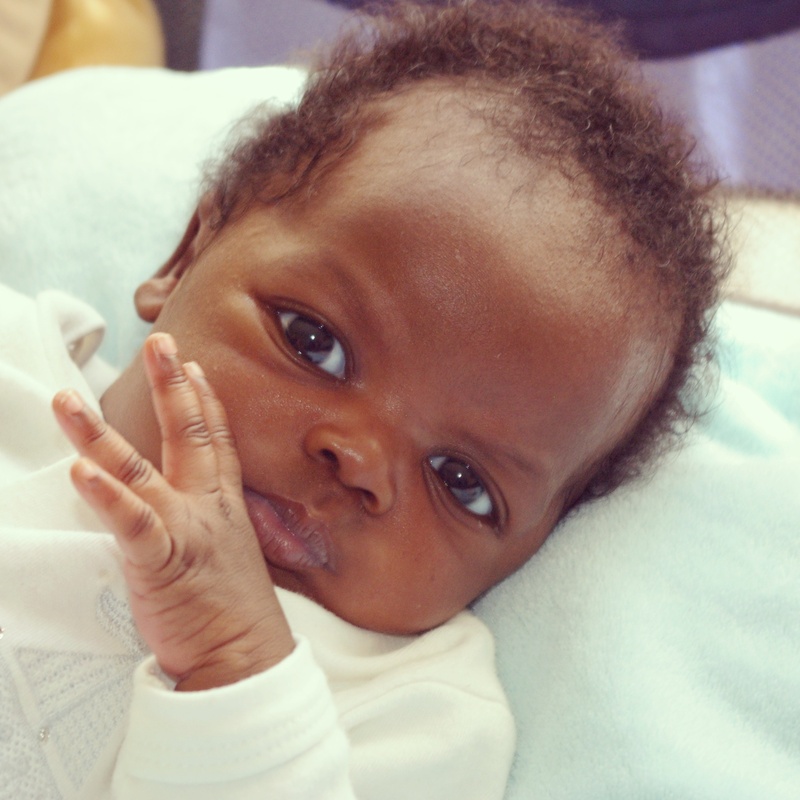 We met Siya when he was 6 weeks old and visited him as often as we wanted to until the day that we could take him home with us – when he turned 10 weeks. It made the bonding with him so much easier. We were also able to meet his special biological mother the day before placement and she also gave us a letter that we are keeping for Siya until he’s a little older. *Read the rest of the post here. 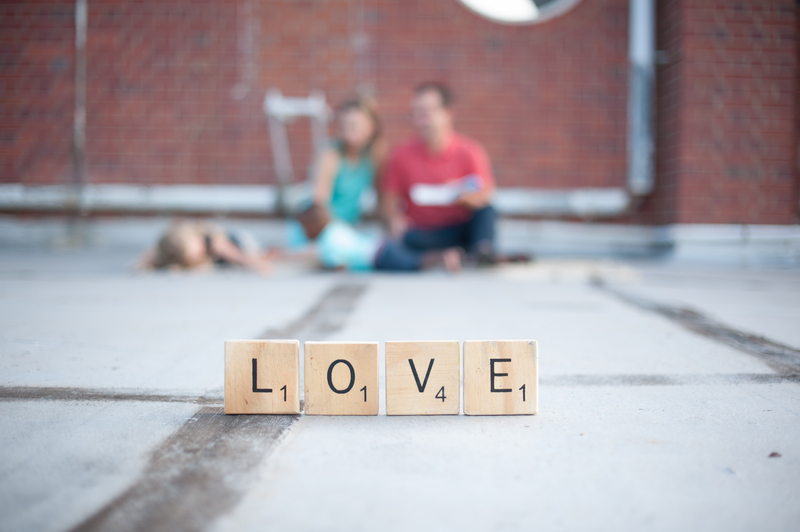 This photo blog is just beautiful! 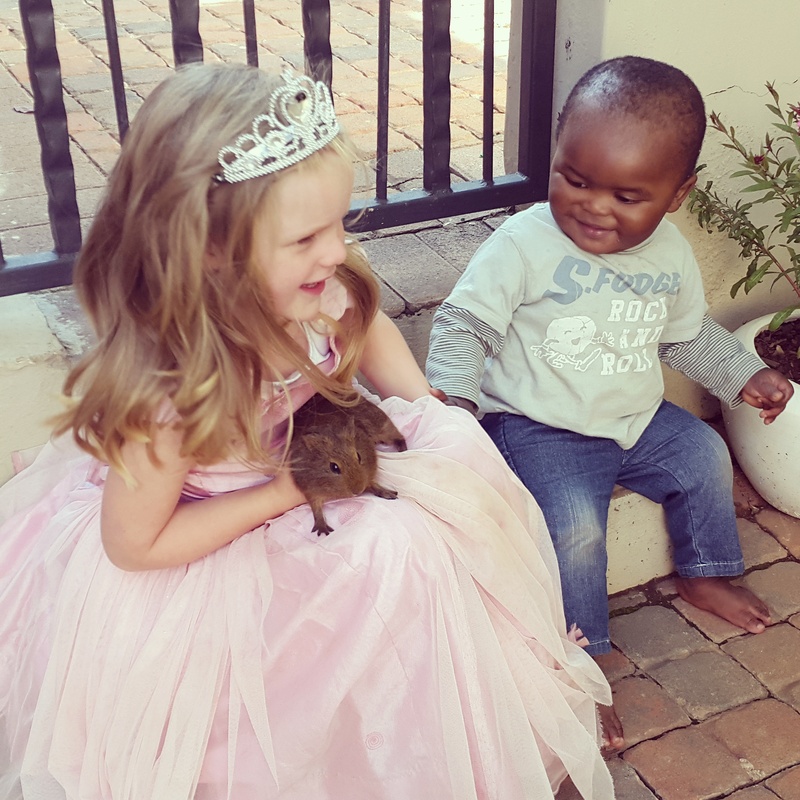 Mom captured moments between two siblings (one biological and one adopted). It reminds me of precious moments that I’ve also pictured with our two children. 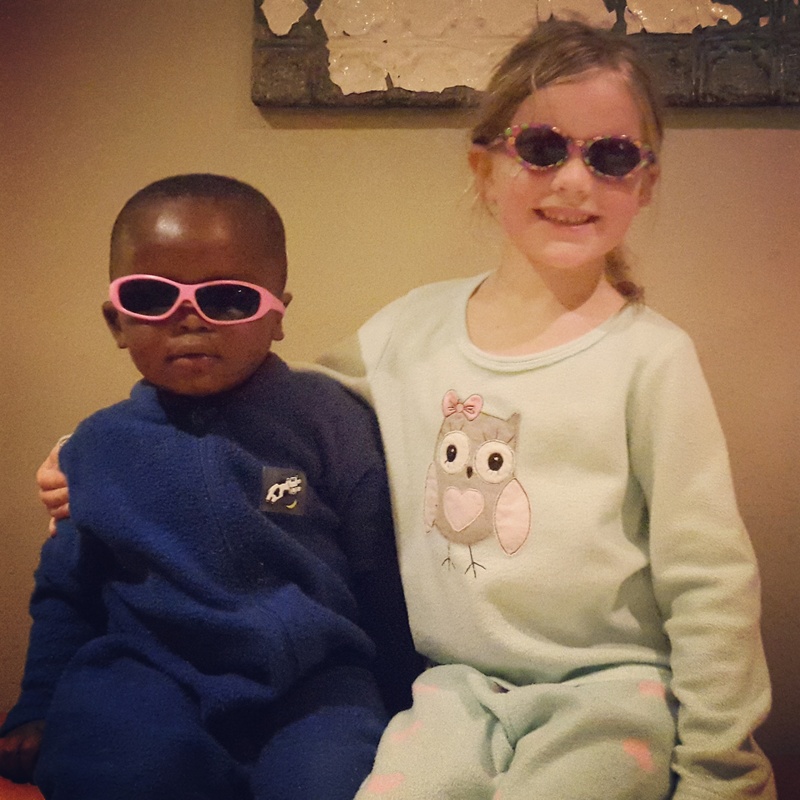 Nina really adores her brother, and always loves to tell anyone asking that it is her brother – not understanding yet why people may question this. 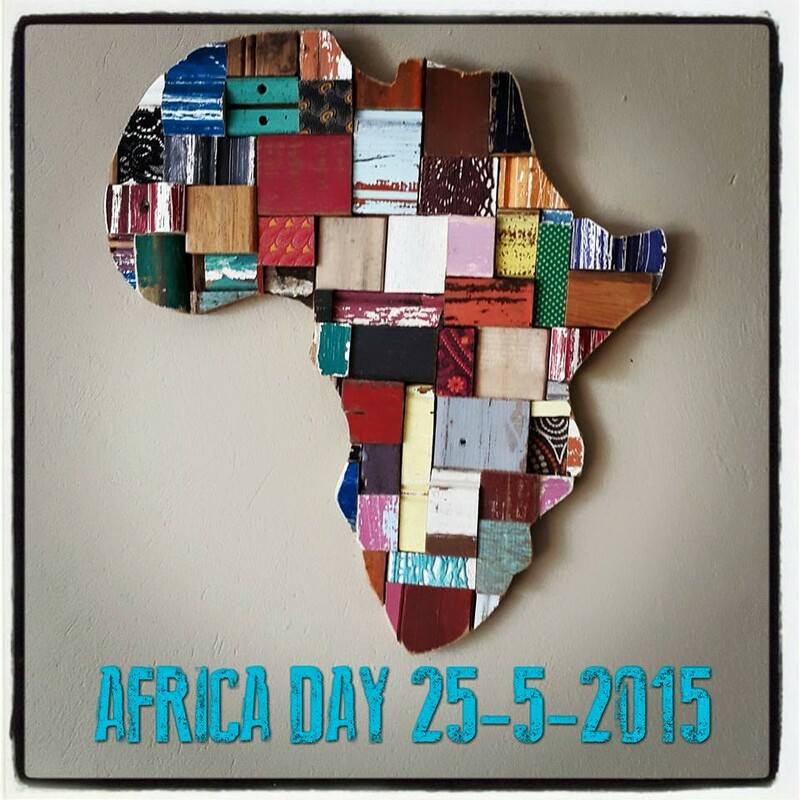 Today is Africa Day. I am as much an African as Siya is an African. I was born and raised here as my parents were born and raised in this country. I love South Africa deeply and dearly and although not unaware of the sad realities of poverty, abandonment, corruption, violence and inequality that millions of people face daily on this continent, I praise God that I can be rooted in this beautiful vibrant country. I will continue to pray for leaders to lead this country in honesty and integrity to the glory of His name and the upliftment of all people. 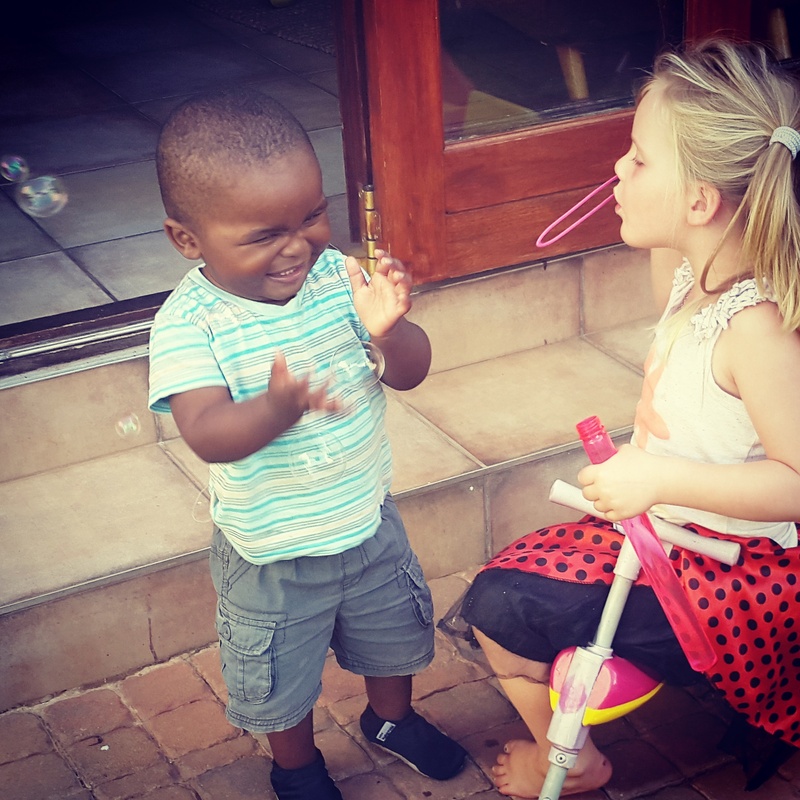 Currently the Childrens Act in South Africa states that when a child is put up for adoption he or she may only be placed with the adoptive family 60 days after the biological mother has signed the adoption papers. This is apparently to protect both the child and the adoptive mother from any emotional trauma in the event that the biological mother decides to keep the baby. 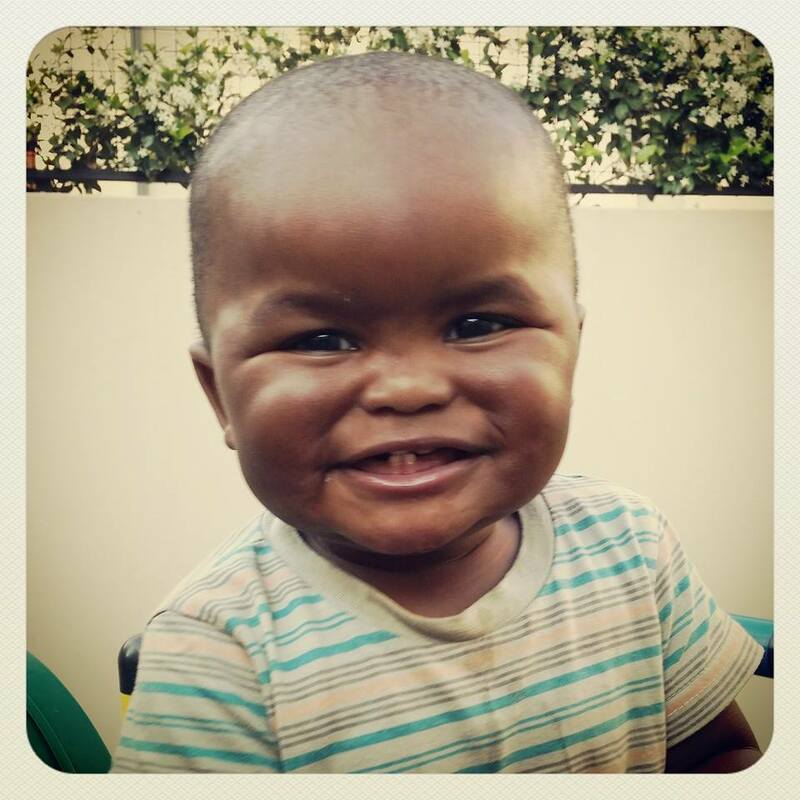 With our second adoption, Siya was placed in a baby home in Laudium. 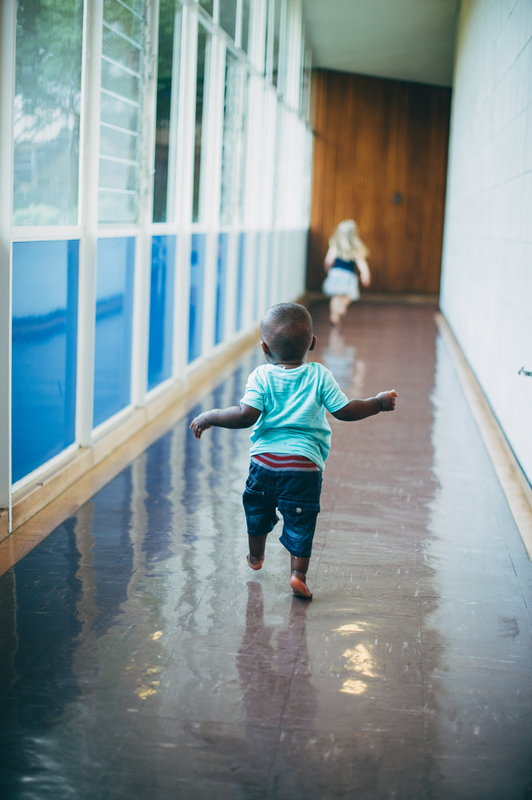 New Beginningz Haven is a wonderful place and I can only thank the Lord that Siya spent his first few weeks of life in this loving home. This is a clip made by the Vodacom Foundation of New Beginningz. My favourite part is where Florence, the cook, says that the best part of her day is when she knows that the children’s tummies are full. We recently had our first family photo shoot! 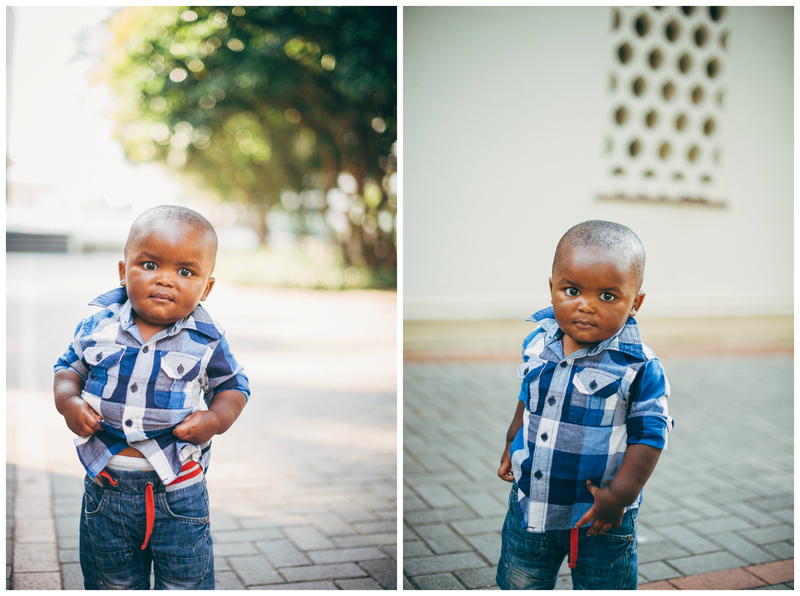 While it was quite chaotic trying to get Siya to look at the camera and cooperate, it was a wonderful experience! 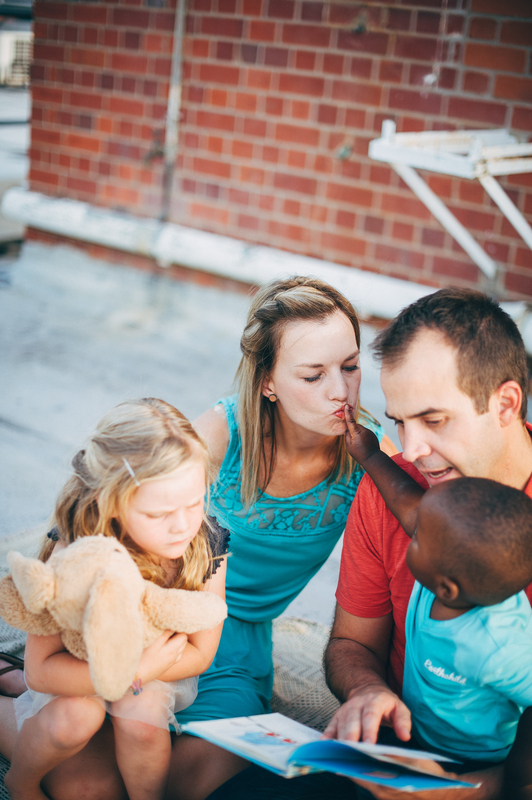 Very grateful to be able to look at these pictures and see how our Heavenly Father creates families, and to realise that family is not determined by blood and genetic make-up only, but also by love and doing life together! 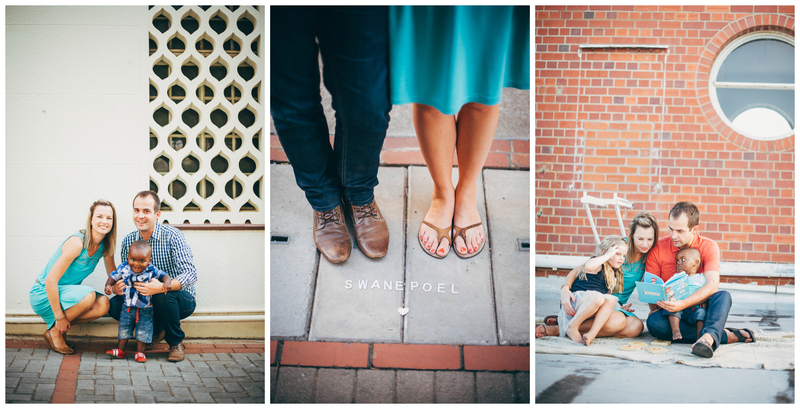 Thank you Marleen of Stroopsoet.Photography for these wonderful memories made. 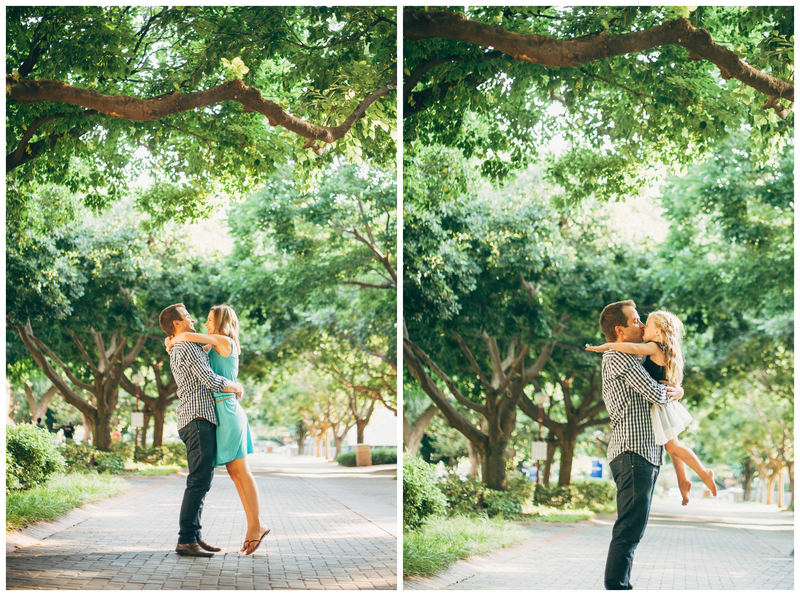 These pictures were taken at the University of Pretoria’s main campus, such beautiful buildings! 7 November was our one year anniversary of bringing Siya home to us! I simply cannot believe how fast the time has flown. This year has been so much easier and better than I ever dreamt it would be. From the day we told our family and friends we got the call from our social worker, we have been surrounded with love and support. Everyone was so excited for us and were counting down the days with us until his home-coming. 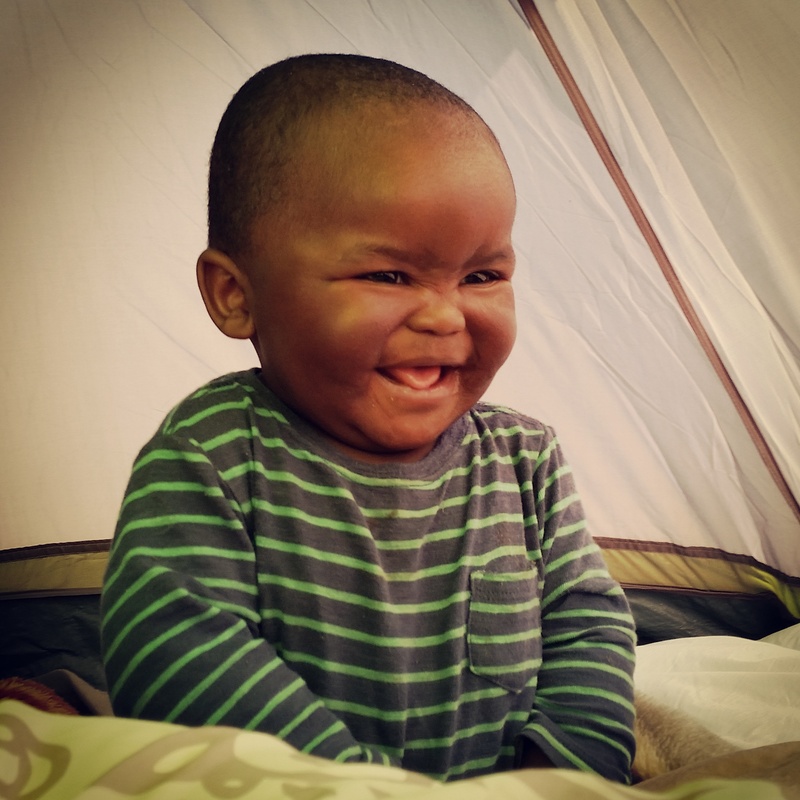 We were in the very fortunate position of meeting Siya about 3 weeks before the placement date and that gave us more than enough time to fall in love with this sweet little baby. 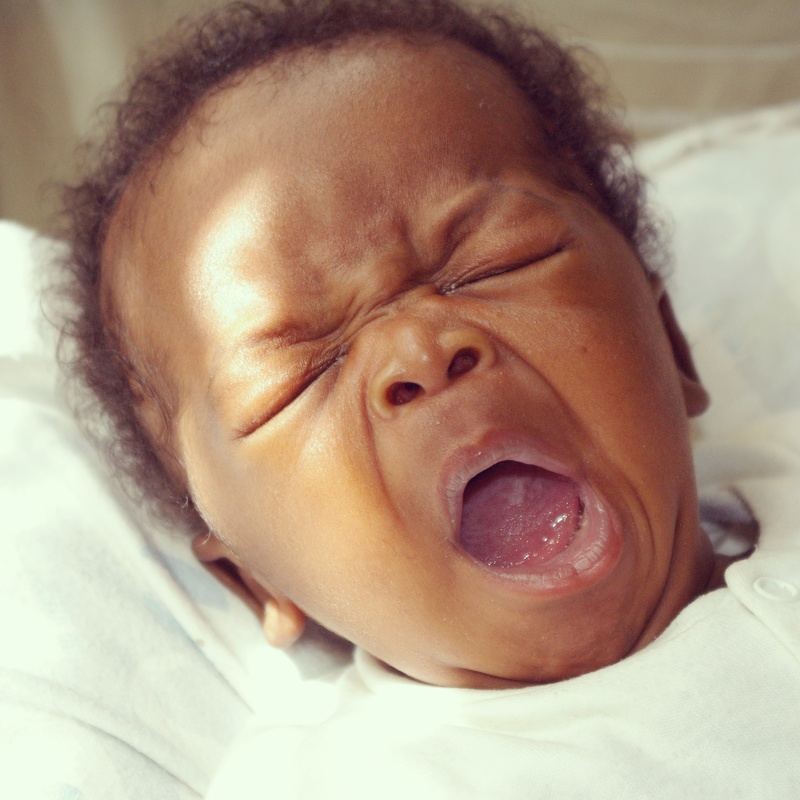 It was still an adjustment going from a family of 3 to 4 and I think the biggest challenge was getting Siya to learn good sleeping habits. But the hard work paid off and now he is a toddler that LOVES to go to bed and gives us most nights uninterrupted sleep. I am very grateful for the way that we all settled in, and nowadays I am not even aware of the color difference between us. 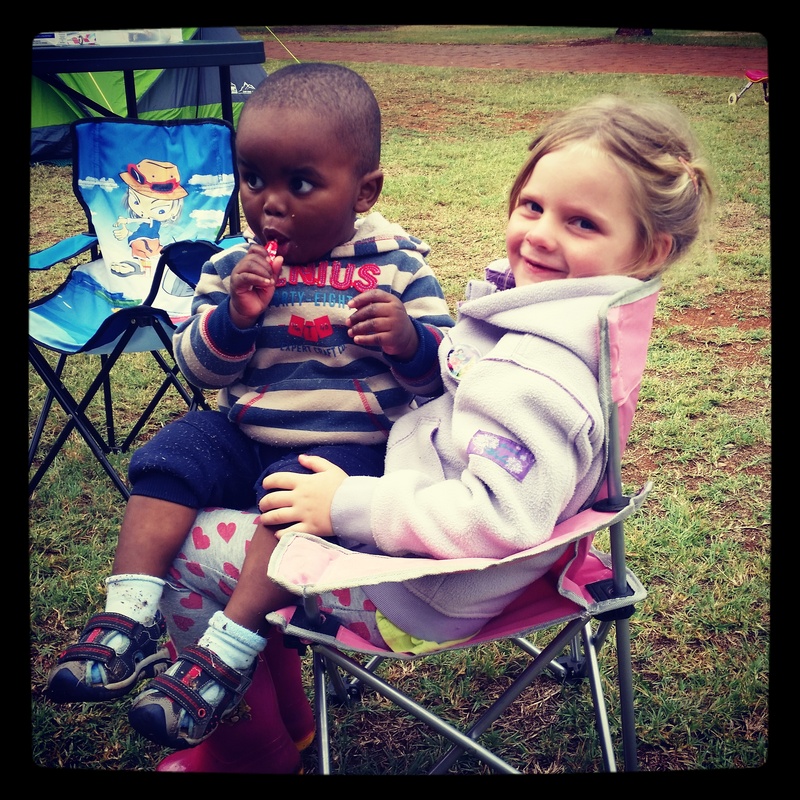 Siya is very friendly, inquisitive and loves to make jokes. He is always looking for a new way to make us laugh. He is a big tease and just knows which “buttons to press” with Nina to really annoy her! He has a special love for a toilet, and a few weeks ago for the first but hopefully last time he dropped a cell phone in the toilet. Siya doesn’t sit still even for a few seconds and is forever busy exploring and climbing on any kind of obstacle. He definitely has a natural instinct when it comes to music and dancing, it is so cute to see that little body start to move to the beat. 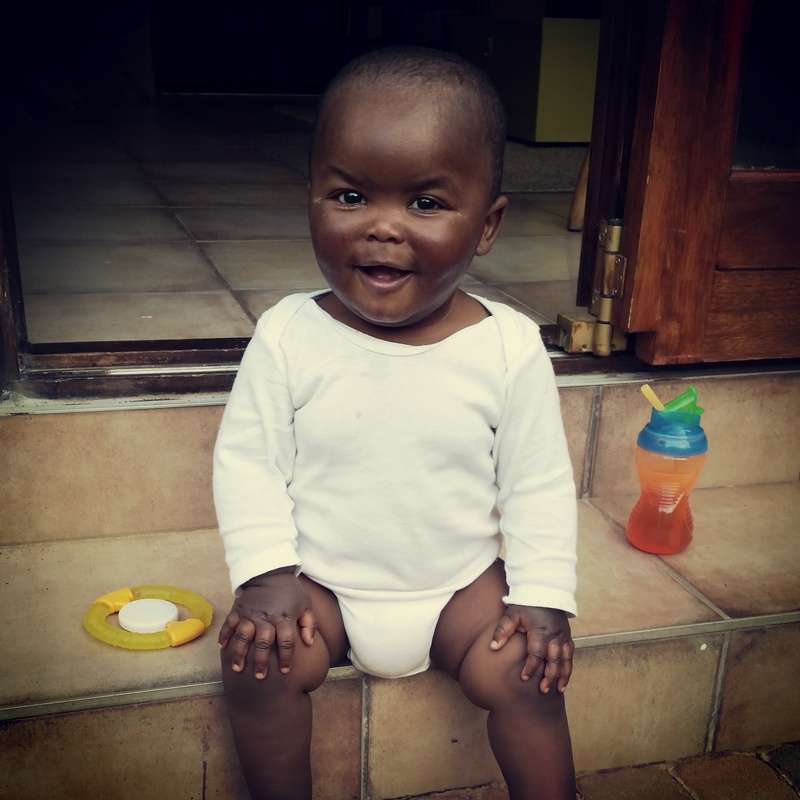 It is also special to share this one year anniversary of Siya’s homecoming with National Adoption Month, and we have been reminded again about the big burden that there is in the world and especially in Africa concerning orphans. 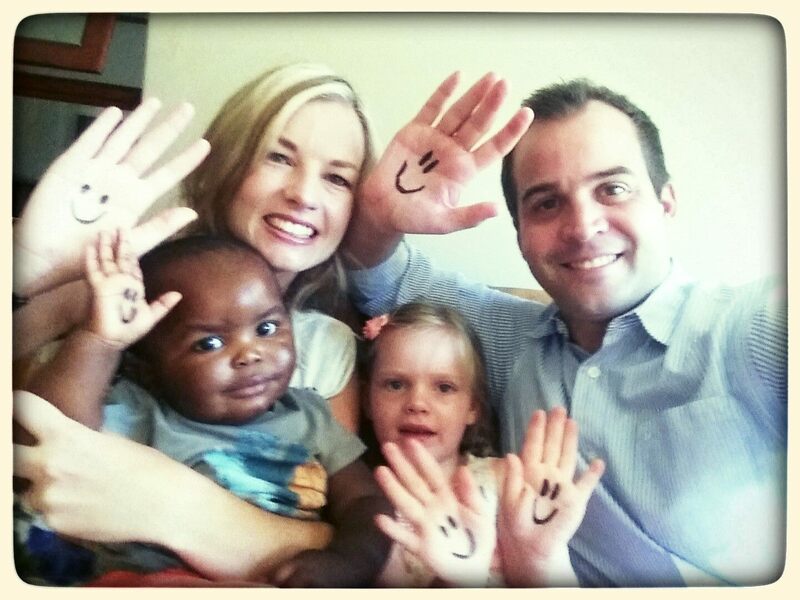 We also took our Adoption Selfie with the smiley faces. 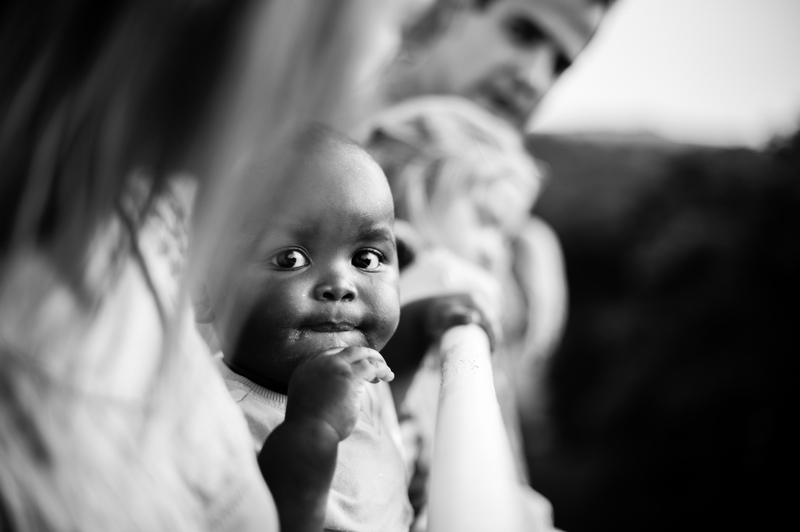 For us it is impossible not to also be reminded about our adoption into God’s family by the work of Jesus Christ. We praise His name and give Him thanks for the wonderful privilege to be called children of the Most High God! October will always be one of the most beautiful months to me. 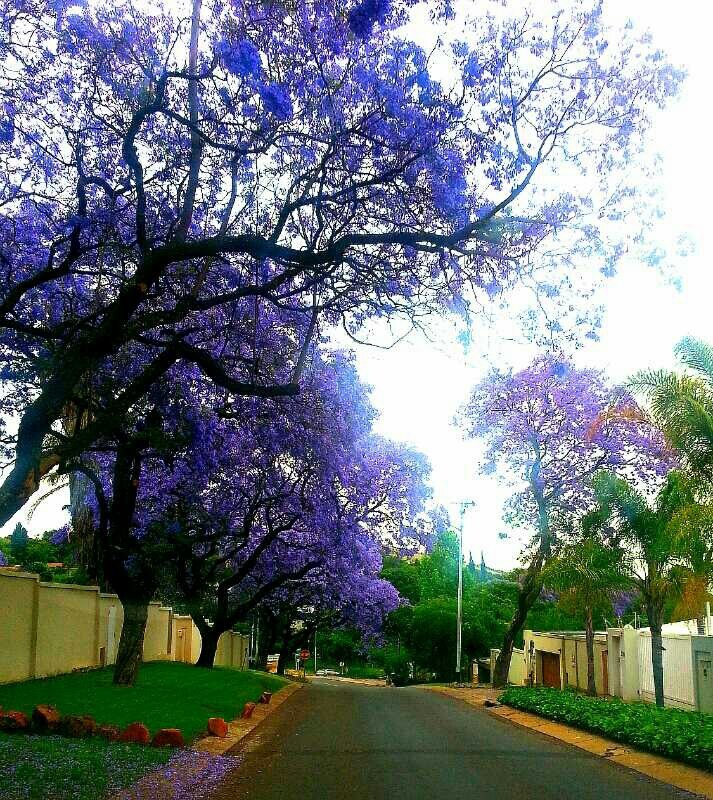 We live in Pretoria, which is also known as the Jacaranda City. These beautiful trees are in full bloom during October, and line our streets with their purple trumpet flowers. It is also when our jasmine bushes start to blossom filling the air with their sweet fragrance. But October is also the month when we celebrate Nina’s birth. 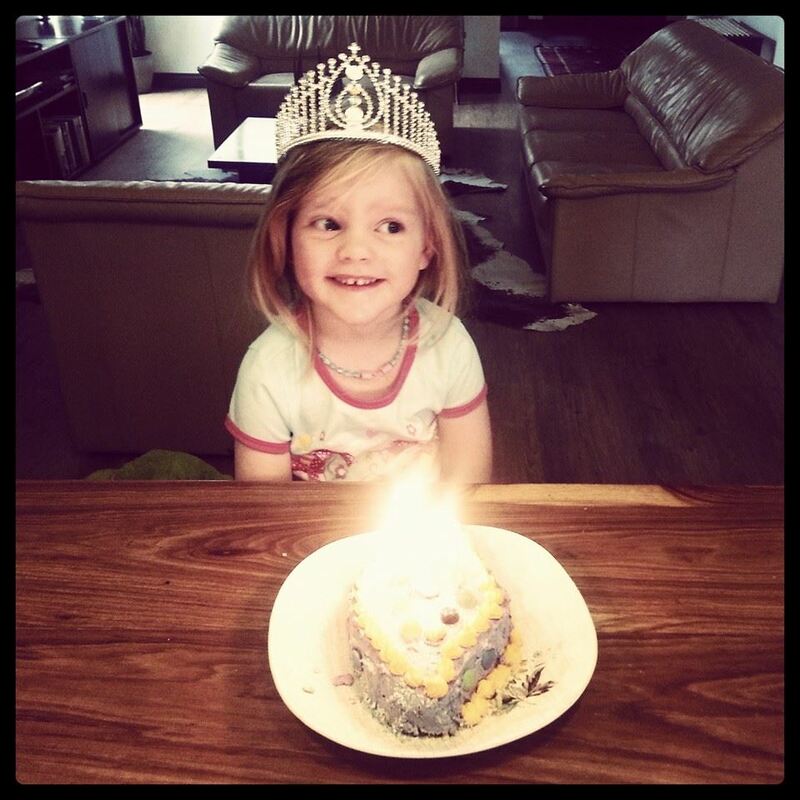 Now Nina is 4 years old – and what a blessing she is to us! She is a lively, energetic girl with an imagination that can only make you laugh. 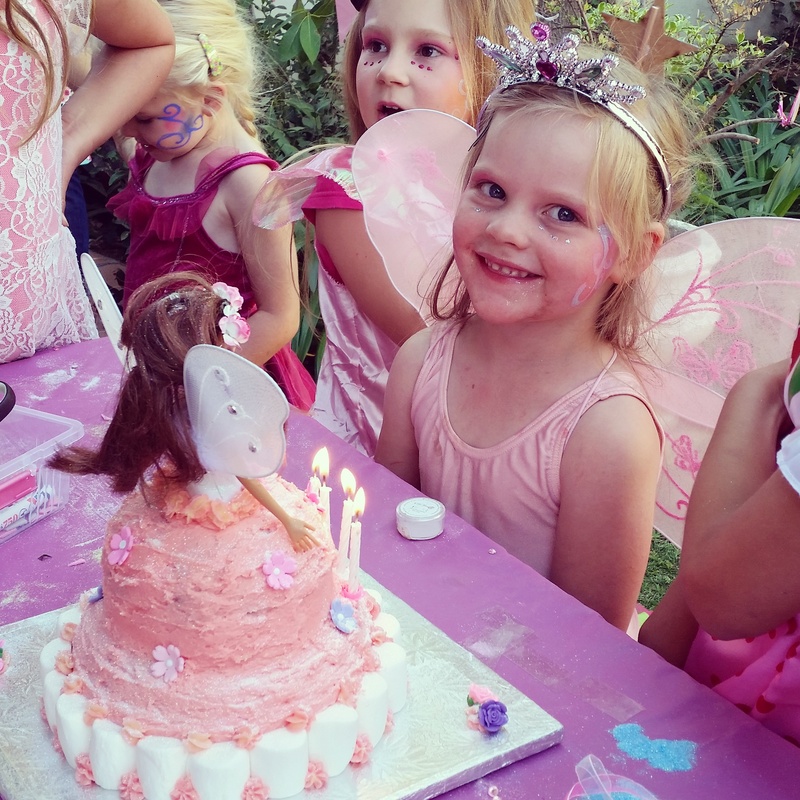 She loves ballet, fairies, princess stories and dressing up but can play and jump and climb like a real tomboy. 🙂 A good mental picture of her is dressed in a fairy skirt with fairy wings, crown on the head, but feet and hands dirty and legs full of bruises. Never a dull moment! In this time we also specifically remember Nina’s very brave tummy mommy. We know she is also thinking of Nina. We pray for her, that Jesus will also fill her heart continually with His presence and peace. We always thank the Lord for her selfless act of love. As these beautiful burst of colourful flowers after a cold highveld winter signifies the promise of summer and new life, it is also a reminder to me how our Father brought new life into our lives after going through the long and painful road of infertility. We love you dearest Nina!! Our prayer for you is that you continue to mature in a girl that will love Jesus increasingly and live for His glory. 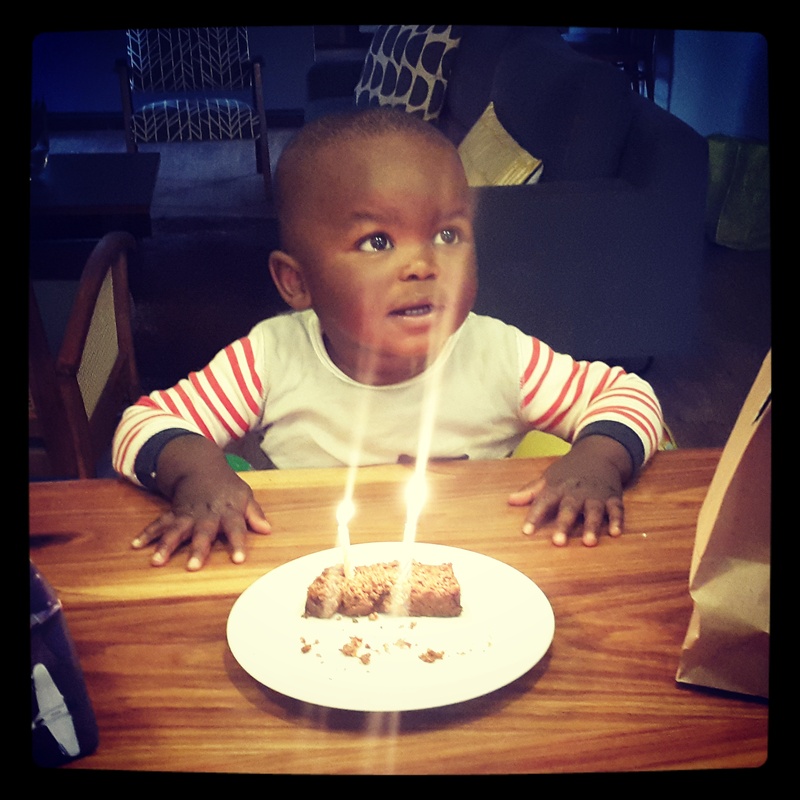 Today we celebrate Siya’s first birthday! Today a year ago no pictures were taken of his birth. No Facebook posts were made to announce his arrival. No phone calls or messages to congratulate his birth mommy on the birth of her son. Even we, his family now, were unaware that our son was born. This is entirely different from Nina’s story who’s birth we anticipated and celebrated with all our family and friends. 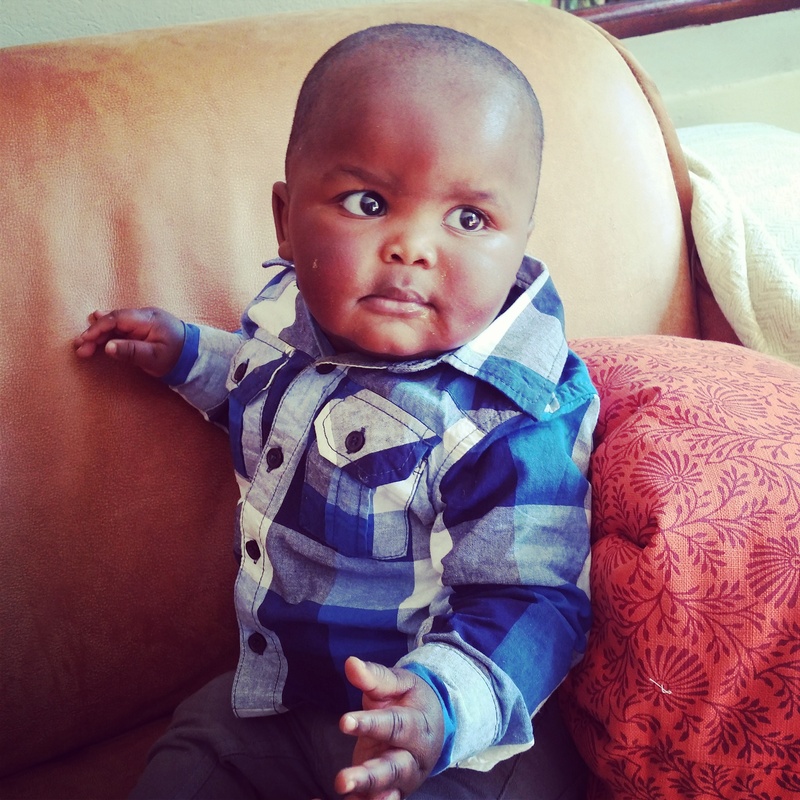 After his birth Siya was placed at New Beginningz Baby Haven, a special baby-home in Laudium. He stayed there for the first few weeks of his life. 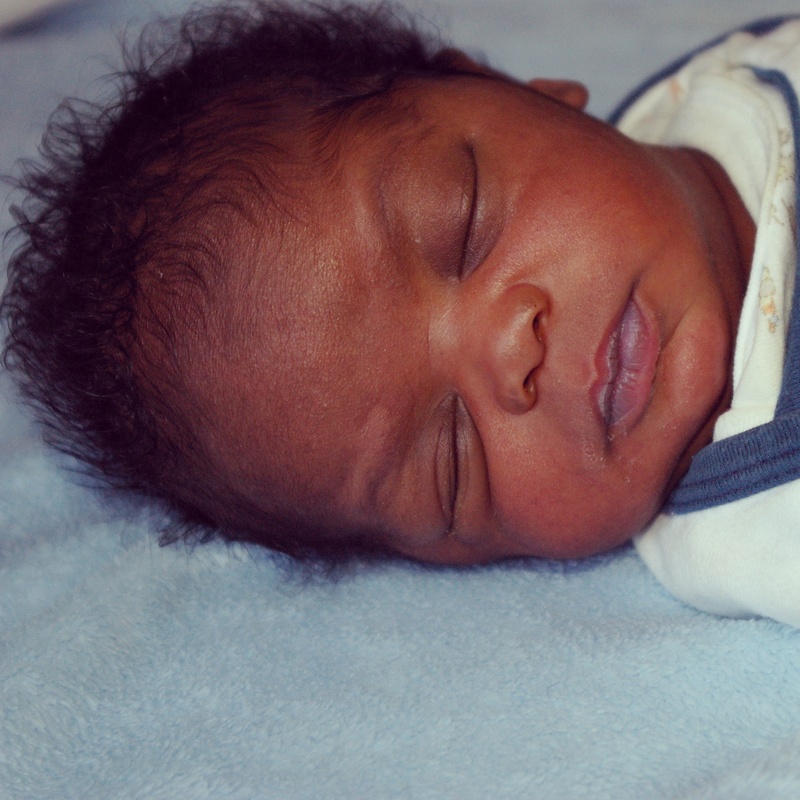 Fortunately they take lots of pictures of the babies so we have some from those first few weeks. His favourite person is definitely Nina, his sister, who lights up his face in awe and adoration. Siya has been with us 10 months now. 10 months ago I was nervous about how we will cope with this new baby in our home. 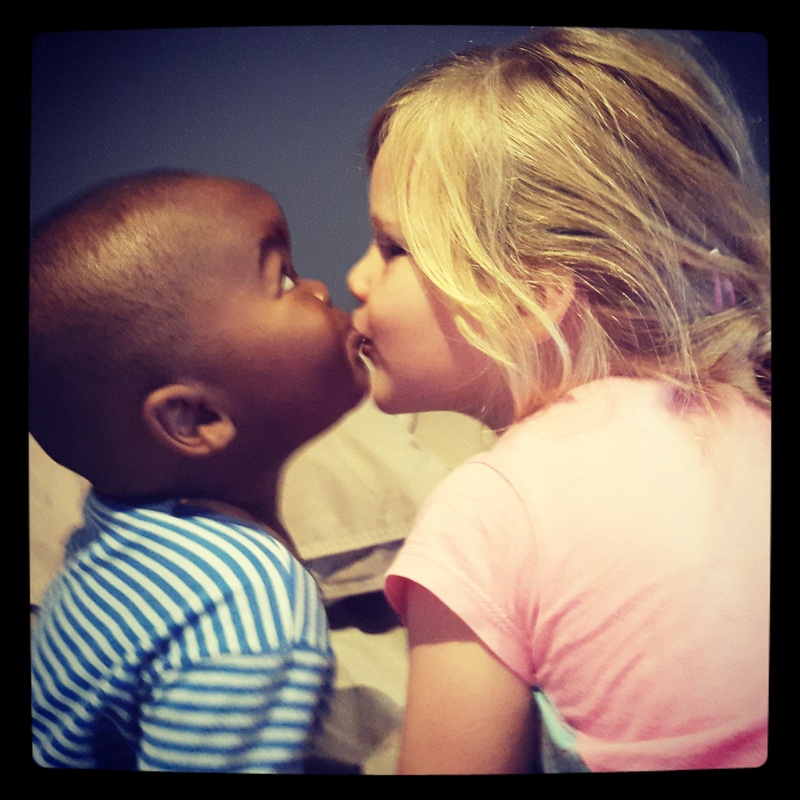 How our lives would change because of our decision to go ahead with adopting a baby of another race. But we look back with hearts filled with thankful joy – God has been so good to us as a family! 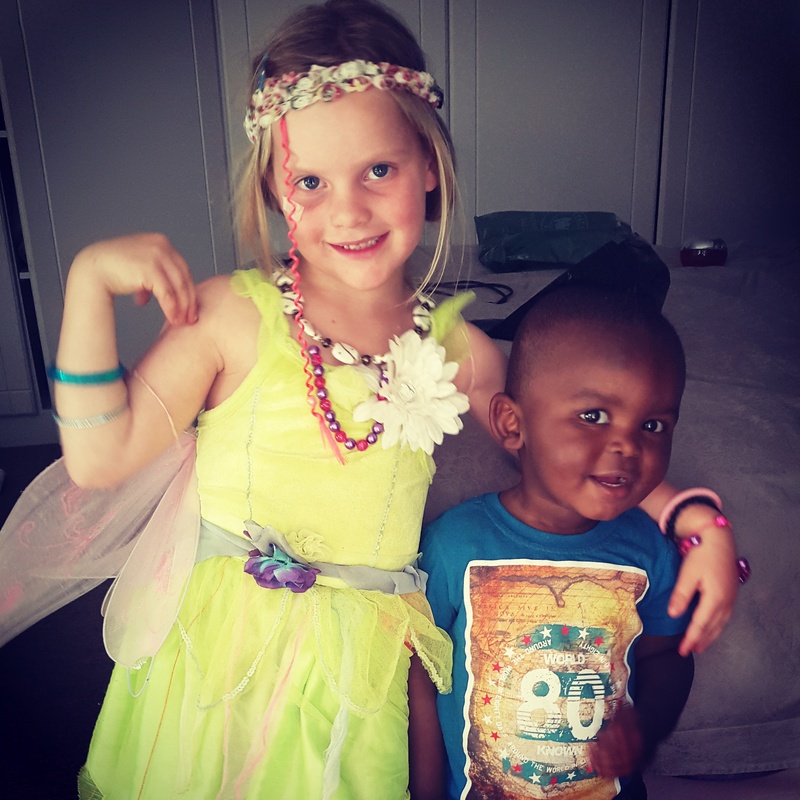 Both Siya and Nina are daily reminders for us of how our Heavenly Father provided for us and how we are also adopted children of God by the work of Jesus Christ. However, I know that there is another mother remembering her son being born a year ago. 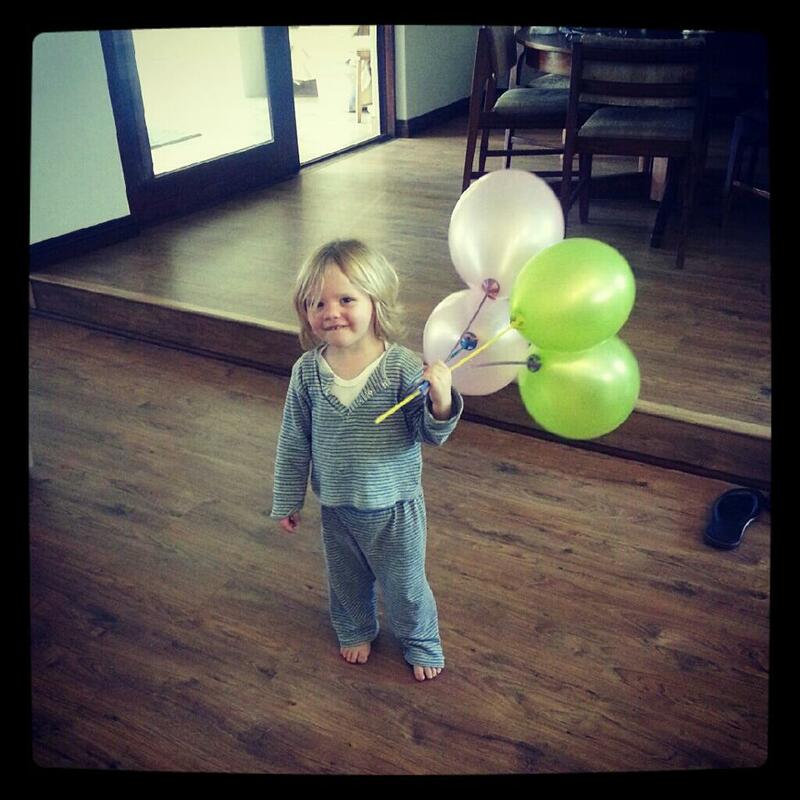 I wish I could hug her tight today, and show her what a beautiful and happy boy he has grown up to be. And I wish I could reassure her again that he is being loved and cherished as our own begotten son. As much as we are celebrating his first birthday, this dear woman may be grieving in her loss and all we can do is pray that our Heavenly Father will comfort her and fill her with His peace. Happy birthday dear Siya son! We love you more than words can say and look forward to see you grow up. Our prayer for you is that you will come to know and love God and live a life worthy of the Gospel of Jesus Christ. This short post sums up so much of the emotional complexity when dealing with infertility and making decision to refocus your energy on adoption. I was emotionally raw after every round of infertility treatment, and unsure how I will ever be able to come to terms with the fact that I might never conceive, never experience the wonder of having a baby grow in my womb, never look into a child’s face and recognising my own or my husband’s features. Our journey with the fertility treatments ended not necessarily by our own choice, but we were advised by our specialist that it is probably futile to pursue IVF further. 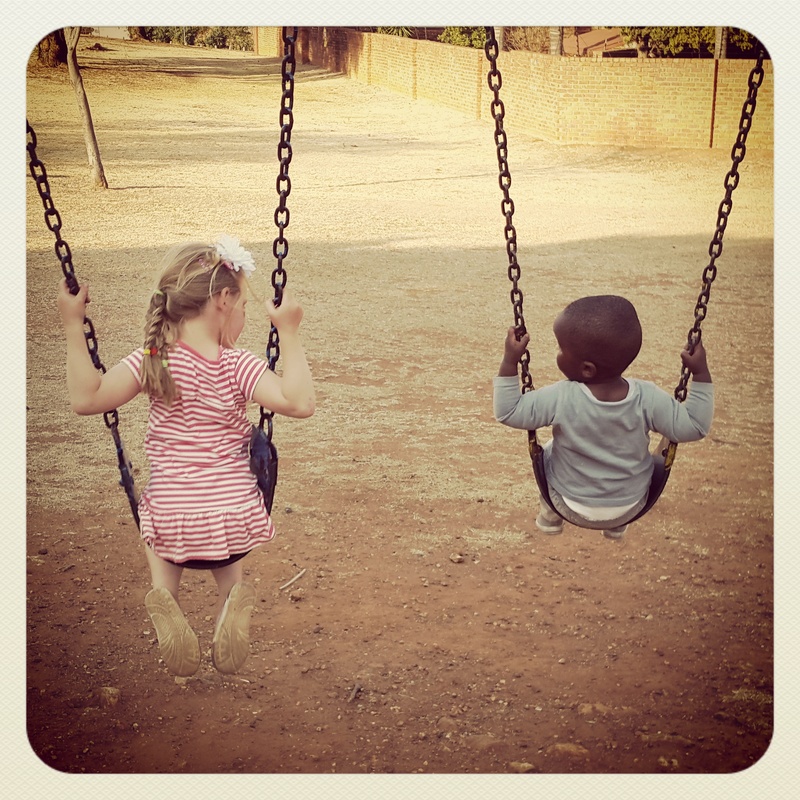 So we were forced to redirect our efforts and focus on adoption. During this time we read a book “Adopted for Life” by Russell Moore which helped tremendously. I was initially worried whether I would have to carry the burden and pain of infertility for the rest of my life, but our Lord was and is faithful! 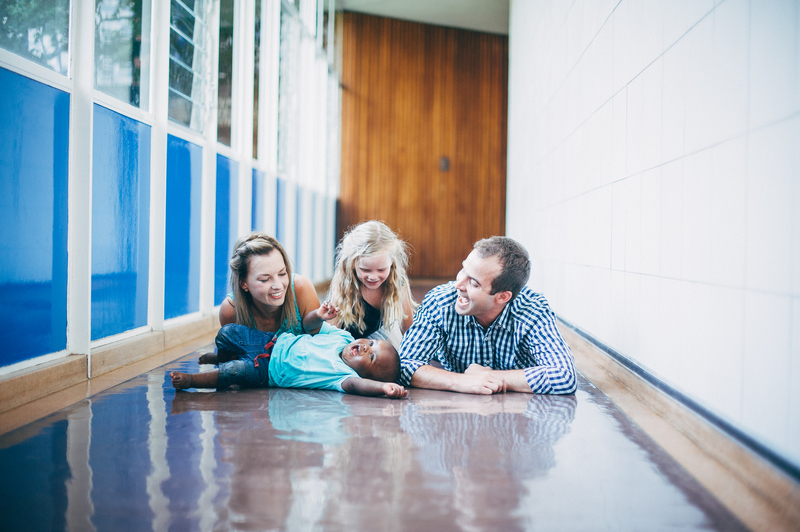 I always tell people that God did a miracle in my heart once we started the adoption process. The moment we decided to move on, I felt as if a dead weight was lifted from my shoulders. I felt free! For the first time in so many years I could see pregnant women and not feel as if I wanted to break down and sob. I could attend friends’s baby showers without feeling resentful and pitying myself. I could start looking at baby clothes in the shops and not despair that I will never experience the joy of buying clothes for my little babies. What a blessing! What a miracle! It is 5 years now since our last effort to fall pregnant, and my heart is filled with gratefulness and joy! 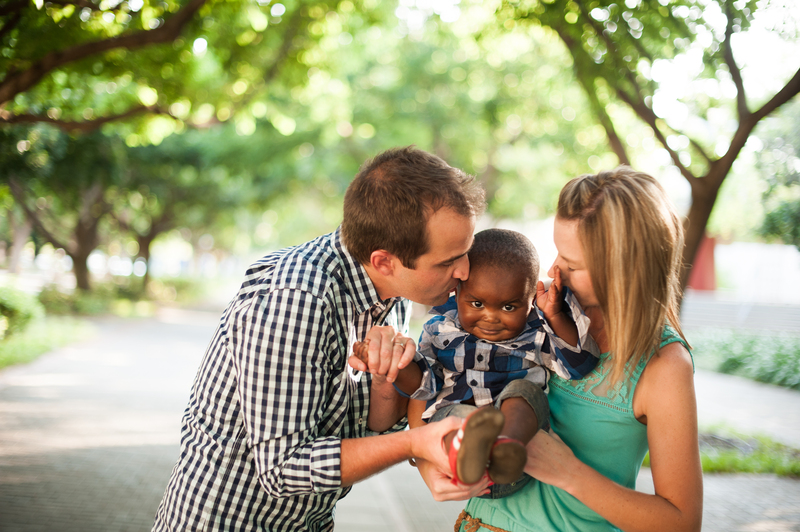 Grateful that I could experience the miracle of adoption. Grateful that I am blessed with two beautiful children. Grateful that I could learn so much from our Heavenly Father about how He adopted us into His family. Grateful that I can be a mommy! 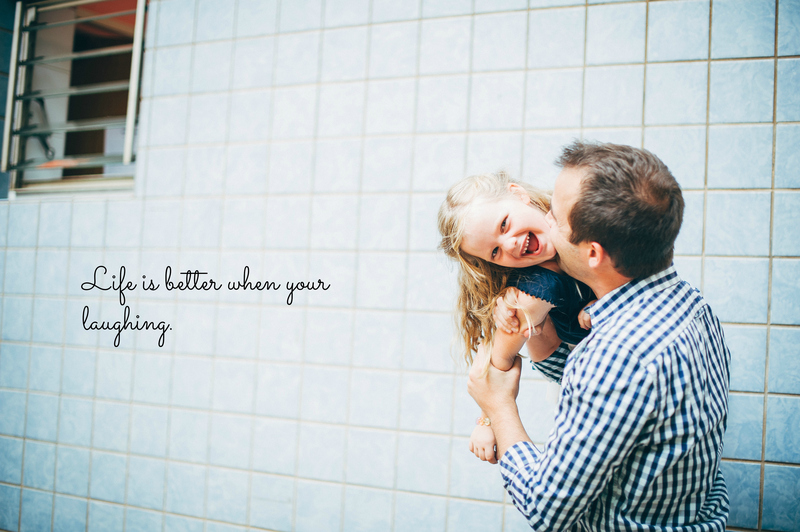 I am filled with joy when I see my husband playing with our kids. 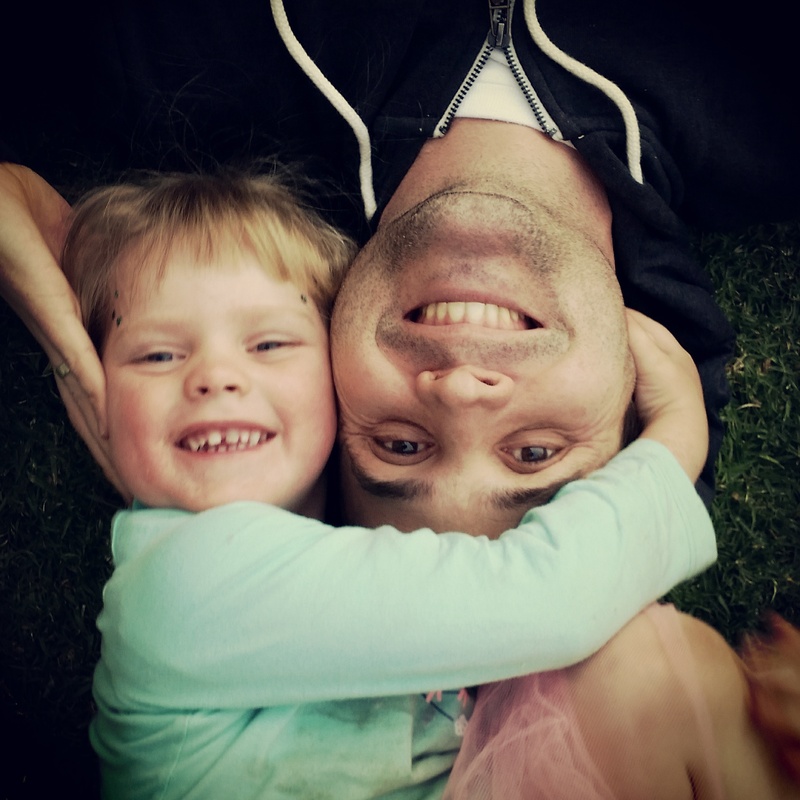 I am overwhelmed with joy when my little girl throws her arms around me and tells me: “I love you to bits!!” . There are definitely still days that I wonder what it would have felt like to experience pregnancy. There are times that I wonder what our biological children would have looked like, or how their personalities would have been. But when these emotions come and linger a little bit longer than I want them to, I choose to rejoice and praise our Lord God and thank Him for this blessing! Read the post “Are You Done Trying? On mourning, healing and accepting infertility” here.